Happy Birthday Alison! Her birthday was the day before yesterday (18th of August.) I have been itching to bake a pie for a few weeks now since I have been listening non-stop to Sara Bareilles and her ‘Songs from Waitress‘ album. 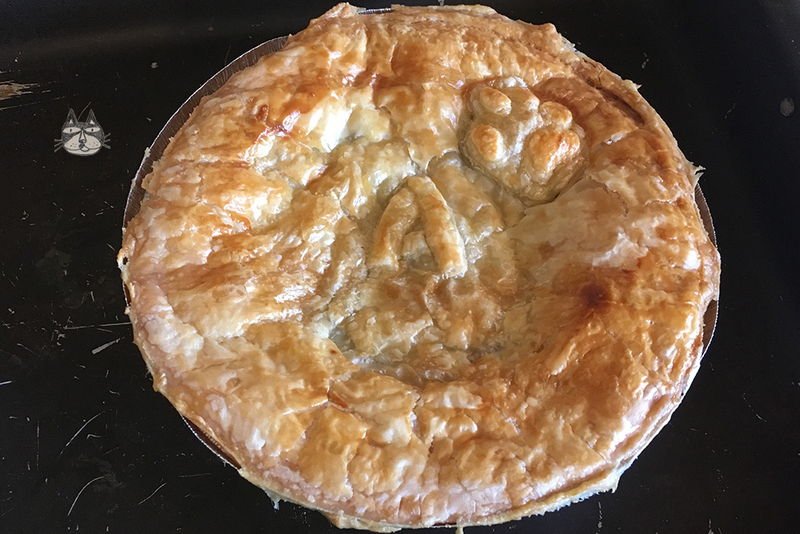 I thought this would be a great opportunity to make a pie (savoury, of course) for Alison. Guys, wish her happy birthday on Facebook or Twitter. I have been baking the Steak and Guinness Pie recipe from Jamie Oliver for years now – it’s one of the favourites of our house. This recipe uses stout (like Guinness) but I didn’t have any in my fridge (gasp!) and they only had Murphy’s Irish Stout at the mini market downstairs. I have made this pie once with Fix Dark Beer, too, and I have to say it works just as well. 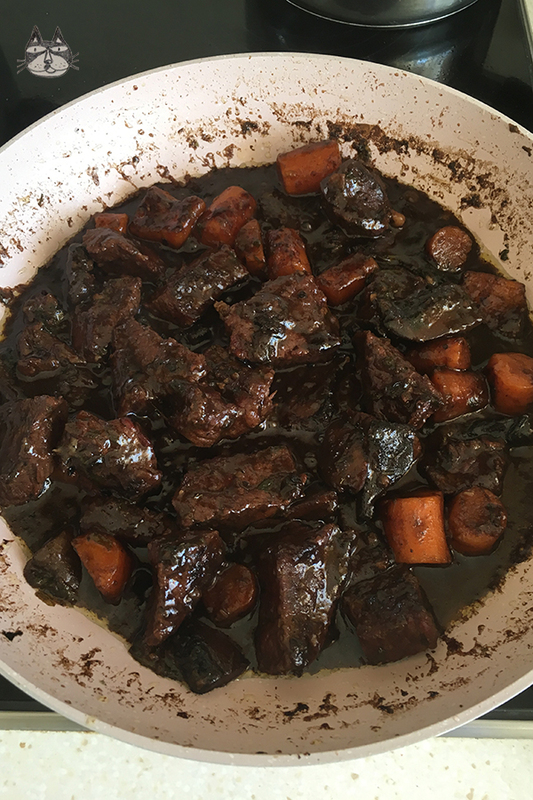 You can of course substitute the stout with just plain beef stock if you don’t want to use stout. I have always used ready-made pastry for the pies, more for convenience sake. You have a choice of using shortcrust pastry or puff pastry. 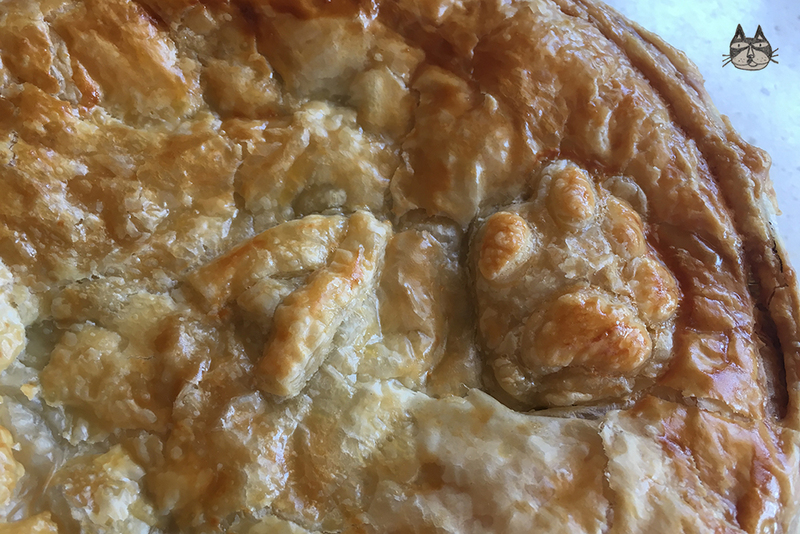 I somehow like it when it’s a puff pastry pie – reminds me of the beef or chicken pies that I would have when I was young…. Fray Bentos comes to mind. I like a bottom pastry layer for my pies – sweet or savoury pies. To prevent having a soggy bottom pie crust, it all depends on the type of pie dish that you are using. Metal pie dishes work well when you are baking pies that have a bottom layer – they cook better. Another trick is to cook the pie at the bottom rung of your oven, so the pastry will have a chance to crisp up. If you don’t have a metal one, or not really keen on a bottom layer, just roll out a layer of pastry on top of your baking/pie dish, and that works fine too. You can make it with either type of pastry (shortcrust or puff). Shortcrust pastry doesn’t puff up when you bake it, and you can find my recipe for a simple shortcrust pastry here (coming soon). Use a stewing beef for this pie, and cook until the meat and vegetables are soft. 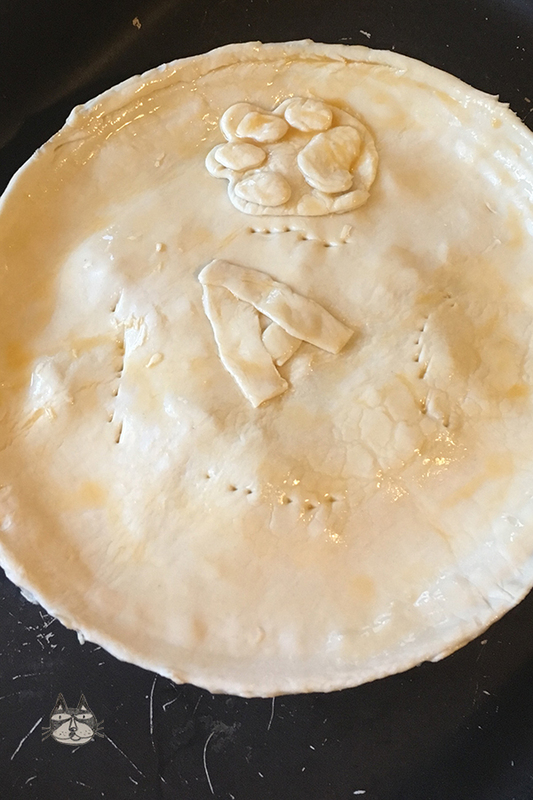 Lookout for instagram updates here for pictures from Alison herself, of the pie! Season the stewing beef pieces generously with salt and pepper. Lightly coat the pieces with flour, and set aside. 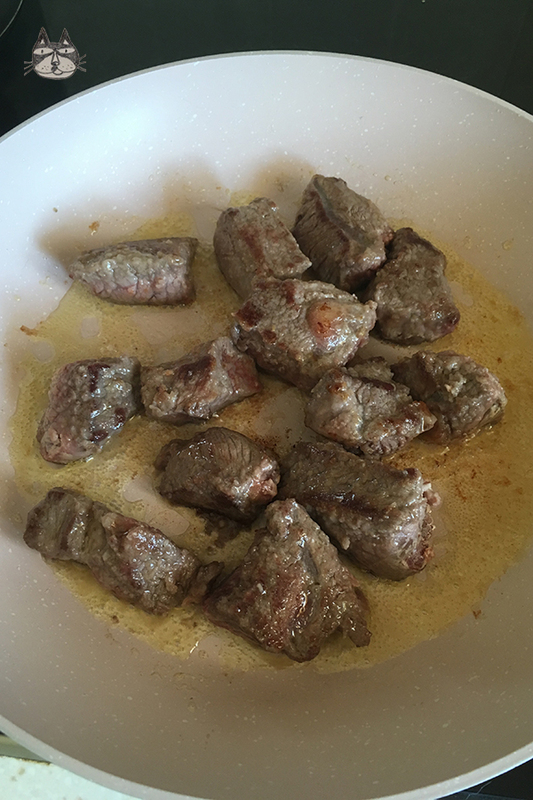 In a large pan, melt the 2 tbsps of butter on medium heat and when it starts sizzling, brown the pieces of meat. Make sure to not crowd the meat in the pan – you want it to brown and to sear the outer part of the beef. Do it in 2 batches if necessary. Remove the meat onto a plate, and keep warm. In the same pan, add 1 tbsp of olive oil, and start cooking the mushrooms. Once it has gotten slightly soft, add the carrots. 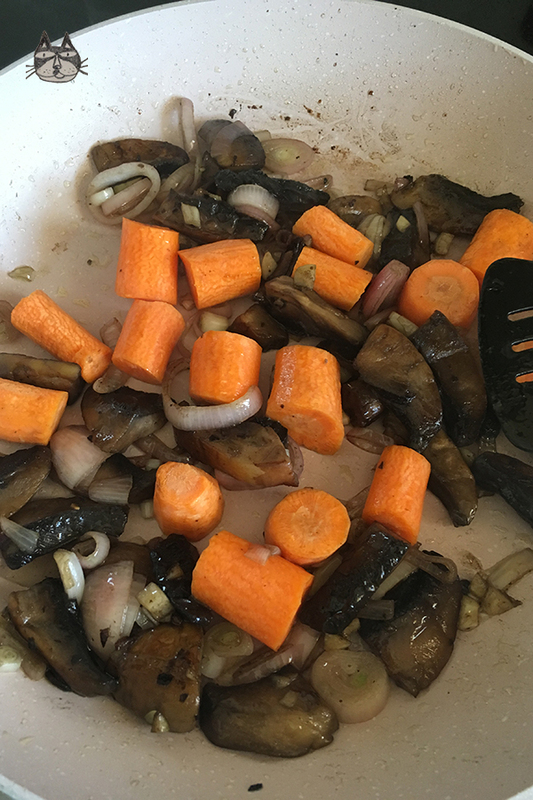 Cook until the colour of the carrots has started to darken. Add the onions and garlic, and cook until soft. Add the Worcestershire sauce, and season with salt. Once the vegetables have softened slightly, return the beef chunks into the pan, and stir for a minute or 2. Season with the herbs (thyme and parsley) and a bit of black pepper, and stir. 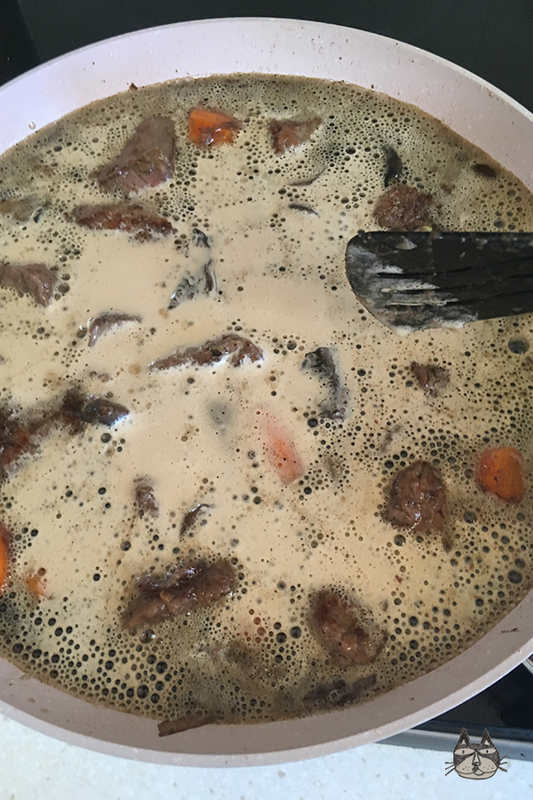 Add the liquids to the pan, (the stout and/or the beef stock) and simmer on medium low. Cook for about an hour and a half to 2 hours, until the beef pieces are soft. 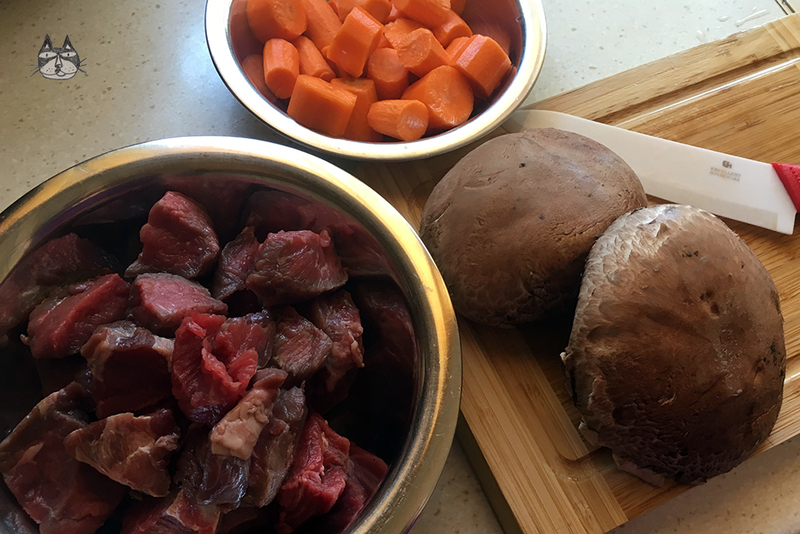 Set the beef stew aside to cool. Now you can make the pie. Lightly butter the pie dish you are planning to use to bake your pie. Line the bottom of the pie dish with the ready rolled pastry. 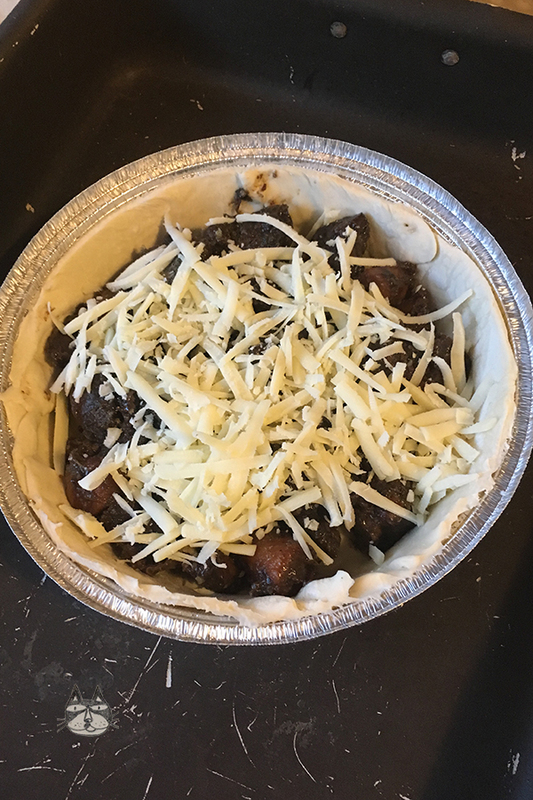 Tip the stew filling (cooled) into the pie, and cover with the grated cheese. 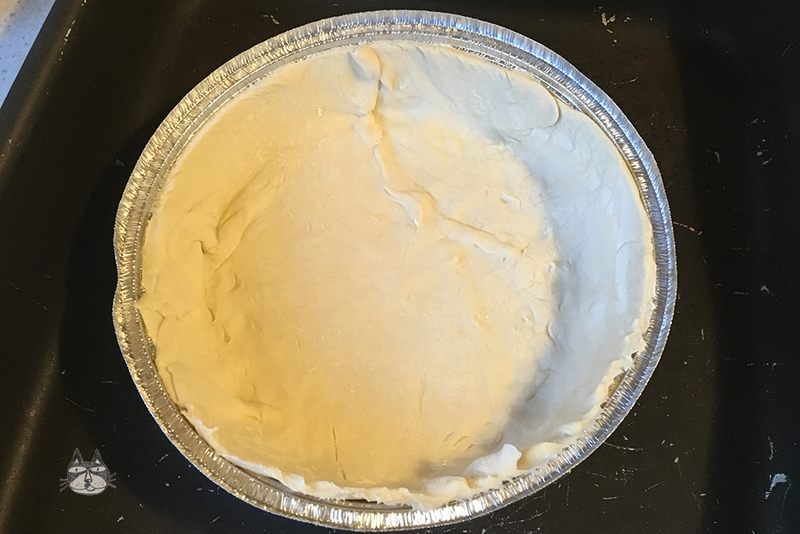 With the egg-wash, brush the rim of the pie so the pastry cover can adhere to it. Cover the pie with the second piece of pastry, and brush generously with the egg-wash.
Lightly score the cover to let some steam escape while it’s baking. Bake the pie on the bottom rung/level of the oven for about 45 minutes, until the pastry is baked puffy and golden. Previous Post Olympic Museum in Lausanne, Switzerland.